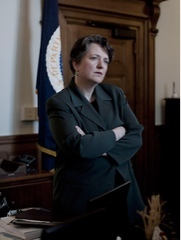 A few weeks ago the USDA announced that Kathleen Merrigan will leave as assistant secretary of the USDA. Merrigan worked to help establish organic standards during the Clinton administration, then was a professor at Tufts. In the past 4 years, she has focused on the Know Your Food, Know Your Farmer program, a website that can be used by both consumer and farmer to locate all sorts of up to date information on programs and policy. Her focus on local farmers and food hubs has helped cause a ripple effect, spurring farmers to examine partnering with all sorts of other community members to strengthen local food sourcing. Official news releases have an upbeat tone: that it is the norm for people to leave after 4 years time, that people and programs are in place that will carry on good works. With interest and access to more information than most about food production than most folks, I am hopeful that her work will remain intact, supported and funded. There is growing scientific evidence on health, nutrition, diseases and causes that need a balanced, measured, calm and thorough spokesperson inside our government. In concerned that there will no longer be a high profile person within the USDA to be an advocate for food we eat. There are many proponents inside the USDA for food that is processed and has extended shelf life. Merrigan's replacement will hopefully be another person who works to keep fresh, local, minimally processed food into our food systems. 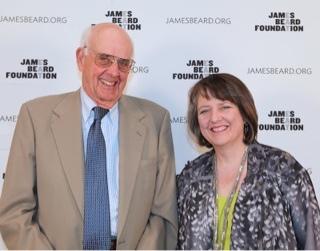 Shown here with Wendell Berry when she was the recipient of the James Beard Foundation Leadership Award, Merrigan has been recognized for her contribution to good food and good practices in getting that food available. Keep advocating for us, please. Farmers need policy makers that think of food not just commodities.